We can offer you the whole aircraft including crew on a date of your request (for Groups of 1 up to 12 people). Alternatively we can offer you to join a Zero-G flight as a passenger. Please contact us about current dates. One day most of us gave up the dream of becoming an Astronaut. But now, at least we can fulfil your dream of weightlessness. A large transport aircraft of the type Iljuschin IL-76 MDK flies multiple parabolas, one after another, that allow you to experience real weightlessness. 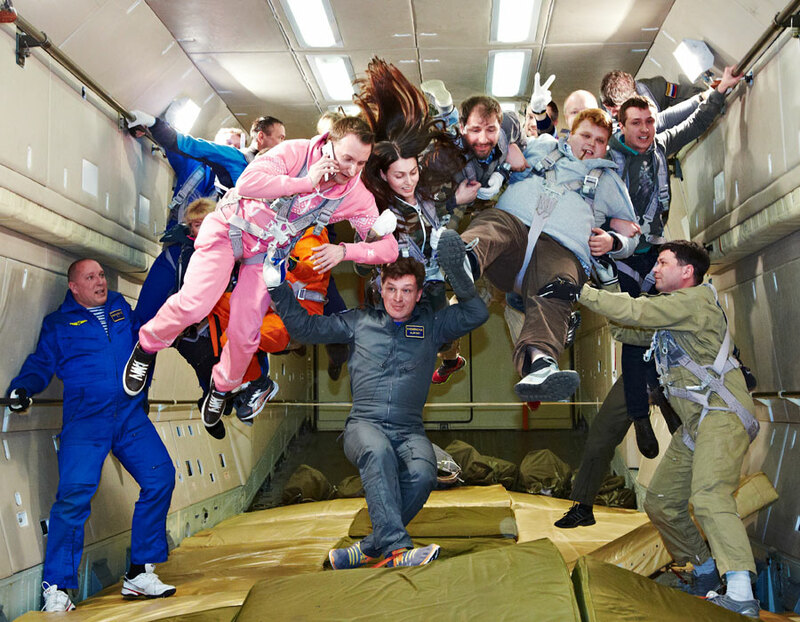 Apart from scientific flights, you can also fly privately and in groups to experience the state of weightlessness. It’s the ultimate adventure – for company outings, unusual incentives or a very special gift experience. With MiGFlug, parabola Zero-G flights are possible – contact us for more information. A Zero-G flight requires careful preparation: On the day before your flight, you will receive a medical checkup by the medical personnel of the Juri Gagarin Cosmonaut Training Center (ZPK). This is combined with a guided tour of Star City, where you can see the worlds largest centrifuge, built in 1980. The centrifuge rotates up to 36 times per minute, exerting up to 12 G of force on its occupant. The Hydrolab, where cosmonauts train to move in space suits as well as a 1:1 mockup of the MIR space station is also part of the tour. Your Zero-G Adventure Begins in Star City. Star City is the picturesque English translation of the Russian name Zvyozdny Gorodok – our location for your Zero-G flight. This small settlement is located near the city of Shchyolkovo, to the north of Moscow, and contains the Juri Gagarin Cosmonaut Training Center and the world’s strongest centrifuge to simulate strong G-forces. You can optimally combine your unique weightless experience with a trip to the Russian capital. The giant Il-76 is the aircraft used for Cosmonaut training in Star City. Only 12 customers, a lot of space to float. 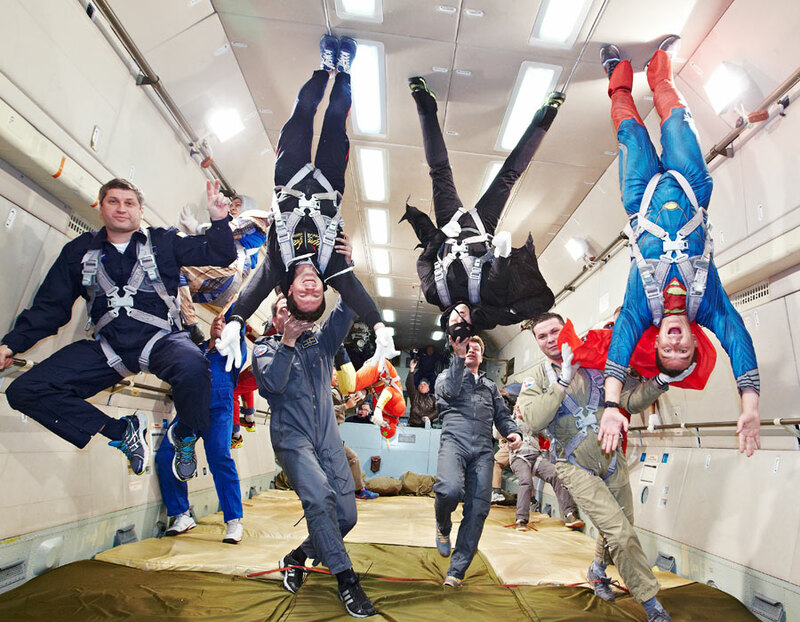 And 30s of total weightlessness, the vomit comet is incredible! High up in the air, you are in for a special adventure. Back on the ground Mother Russia awaits with her rich history and diverse places of interest. Visit the vibrant cosmopolitan city of Moscow, with its restaurants, shopping opportunities, bars and clubs. Anyone’s appetite for culture is sure to be assuaged and the cordial hospitality of its inhabitants allows you to have many interesting conversations.